he Caroling Competition has become an eagerly awaited holiday tradition in the City of Coral Gables. It began in 1987 when the 550 Building first presented the City with the spectacular poinsettia tree. It’s become a special way of celebrating the holidays, continuing the tradition of the festive sound of children, caroling in front of the holiday tree. The Competition always begins the Wednesday after Thanksgiving and continues through Sunday, with the Award Show held always on the following Tuesday. The Competition is non-sectarian and presents the music of the season regardless of its origins. Only 15 schools participated in the first year of the Competition. Now, 30 Miami-Dade and Broward County middle and senior, public, private and parochial schools, more than 1,500 children, compete for $25,000 contributed by 550 Building tenants, local businesses and municipal organizations. Additionally, every school gets Bus Money, generously provided by a grant from Miami Dade Cultural Affairs, to cover the cost of bringing their choir to the Competition. If you have never attended this Competition, you’re in for quite a treat. The children are superb. They are a credit to their schools and the teachers who direct them. 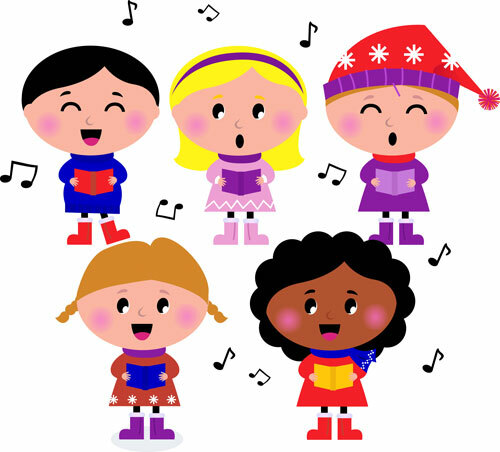 The Caroling Competition is a celebration of these children. They are the future of our community.